"Serum Lipid Response to n-3 Fatty Acid Enriched Eggs in Persons with H" by Nancy M. Lewis, Kim Schalch et al. 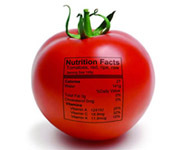 Copyright © 2000 American Dietetic Association. Published by Elsevier Science U.S.A. Used by permission. Consumption of long-chain n-3 polyunsaturated fatty acids (n-3 PUFA) is low among certain population subgroups in the United States, especially in people living in Midwestern states and those who dislike fish. Therefore, there is a need to identify acceptable food sources of n-3 PUFA. Vegetable oils, such as canola and soy, provide some n-3 fatty acids. However, these sources are high in n-6 fatty acids and there is concern that they may have detrimental side effects. Eggs enriched in n-3 PUFA can be produced by incorporating sources of these fatty acids into poultry rations. In acceptability studies, US consumers responded positively to n-3 enriched eggs. However, Americans may be reluctant to consume eggs as a source of n-3 PUFA because of their cholesterol content. The purpose of this study was to evaluate the effects of the addition of LNA- and DHA-enriched eggs on serum lipids of people with hyperlipidemia who were consuming a low-fat diet.